1. Break eggs in a bowl add salt, black pepper and milk. 2. Separately mix yogurt, salt , green chillies, coriander leaves in a bowl. 1. Drizzle 1 tsp butter in a pan and heat at high for a minute. 2. Transfer 1/4 of the egg batter in the pan, flip cover and cook for a minute. 3. Pass a knife under it so that it comes out easily. Transfer it to a plate. 4. Repeat this step 3 more times with the rest of the mixture. 5. Spread the yogurt on to the pancakes and roll them. 6. Serve with coriander on the top! These are good habits, however won’t give you permanent height increase. Egg recipes are always my favourite. 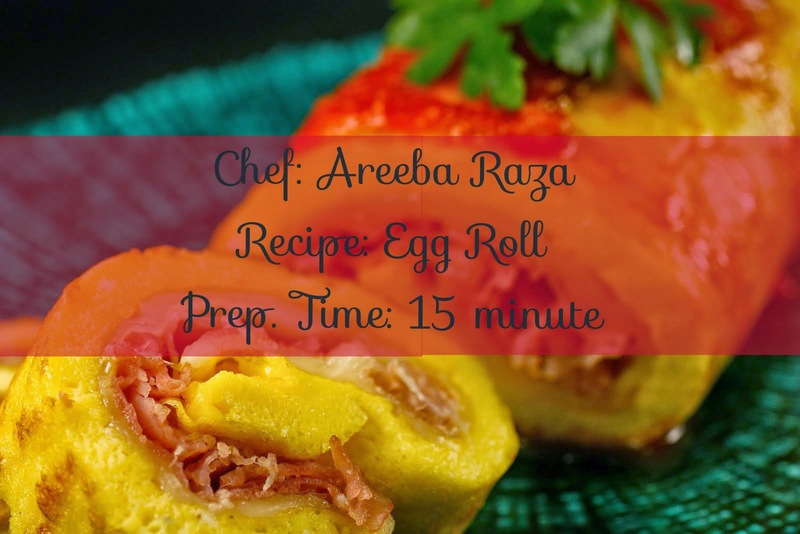 This egg role recipe looks so interesting..Thanks for this recipe going to try it very soon.